The Idaho Coeur d’Alene tribe knew they were going to face legal challenges when it came to offering poker in their casino. Now, while the legal battle still isn’t over, the games have at least temporarily come to an end. Federal Judge Lynn Winmill issued a ruling this week granting injunctive relief to the state of Idaho, and telling the Coeur d’Alene tribe that they cannot offer poker tournaments or other poker games until the full case is heard. 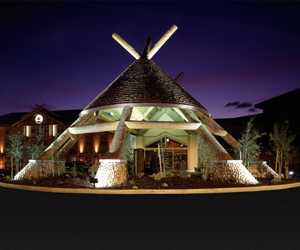 “Until such time as this matter is heard and decided on the merits, Defendant Coeur d’Alene Tribe, including its officers, employees and agents, is enjoined from conducting the poker game known as Texas Hold’em at (a) the Coeur d’Alene Casino, or (b) any other gaming facility owned or used by the Tribe for Class III gaming that is on Indian lands within the State of Idaho,” Judge Winmill wrote in the decision. The ruling is a setback for the tribe, which had argued that it could offer such games as Class II gaming regardless of the fact that poker was outlawed by Idaho law. Instead, the court found that under Idaho law, poker should be classified as Class III gaming, and that the tribe must abide by Idaho’s ban until a federal court issues a final ruling on the state’s lawsuit. One element of the tribe’s argument involved classifying poker as a “contest of skill,” which they said would allow the tribe to offer the game under the Indian Gaming Regulatory Act (IGRA) even if the state had banned the game. But Judge Winmill found that while there is skill in poker, there is enough luck involved to determine that the game’s ban should also apply to the tribal reservation. The ruling was welcomed by Idaho Governor Butch Otter. Not surprisingly, the tribe was not happy with the decision. The issue of whether poker is a Class II game or a Class III activity that requires state approval in this case should not affect its classification in others, as the Idaho Constitution’s ban on almost all forms of gambling were a major reason for the Class III specification here. However, the very fact that the federal court determined it could rule on the case, rather than ceding jurisdiction to the National Indian Gaming Commission, could pave thee way for other states to do the same in the future.